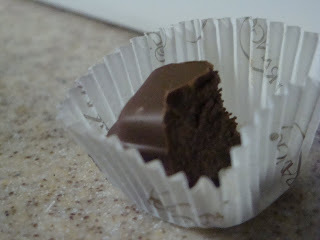 Siestas and Cupcakes: I LOVE Frango Mints!!! 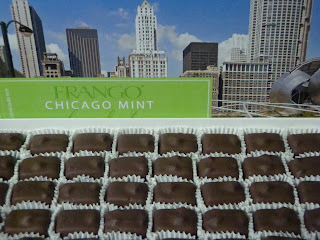 Before this week, I didn't know what a frango mint was. I was deprived. But now I am enlightened and oh how glorious the world is, with the frango mints in it. I am also wickedly exhausted, having been going going going for I lost track of how many days in a row. That being said, I am short on words, but please enjoy this recipe! Cream butter, shortening and sugars until light. Add eggs, vanilla, and grated Frango Mints. Beat until creamy and well blended. Sift flour, baking soda, and salt together, add to the beaten egg mixture, blending carefully. Fold in chopped nuts. Use a melon baller to scoop dough, and place half a Frango mint into the middle of each ball. Place 1 inch apart on greased cookie sheets. Bake in preheated 375 degree oven for 8-11 minutes. 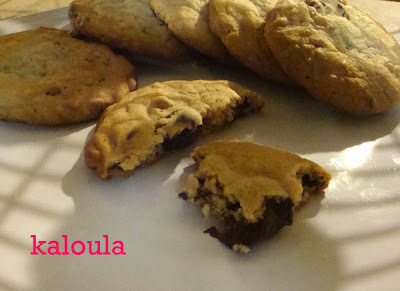 Remove cookies from cookie sheets and allow to cool on rack. I came in here checking this out because your blog's title combined my two favorite things in the world, sweet treats and naps! Keep up the good work, but in the future I know not to read your blog on an empty stomach.